My mom makes the best mashed potatoes. The best. I’m sure your mom’s are good, but not this good. (Ok, I guess I can admit that I’m probably a little biased here.) And I love mashed potatoes. So I find it incredibly frustrating that I have thus far been unable to recreate my mother’s mashed potatoes. So with that not-exactly-precise recipe, I attempt, over and over, to make my mom’s glorious mashed potatoes. And every time, despite claims from my boyfriend that they taste just fine or even really good, they always fall flat to me. 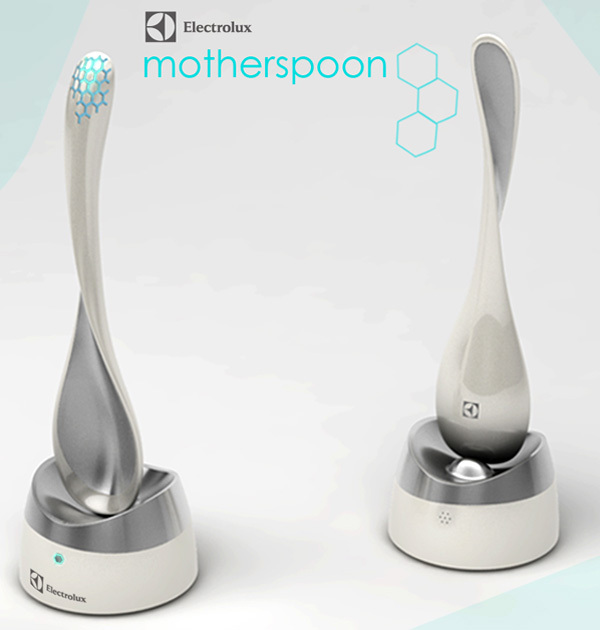 The Motherspoon. Will this gadget finally explain my mom’s recipe-less cooking to me? Basically what happens is that you and your mom buy your own pair of Motherspoon and register onto a dedicated platform for file sharing. So when your mom cooks her recipe and uses the spoon to taste her food, the sensor laden spoon picks up the ingredients and deciphers the recipe. When you put it on its cradle, the spoon loads the recipe to the sharing platform so that you can access it, even if you live miles apart. Is this the answer to my mashed potatoes angst? I don’t know that I’m going to rush out to get this gadget, but I will admit that I’m completely intrigued at the idea of technology showing precisely how my mom makes hers so delicious. But in the end, Mom’s mashed potatoes are as good of an excuse as any to make the trip home, and I think I’ll be ok never really knowing if her secret ingredient is a few teaspoons of onion powder or—as she claims—love. 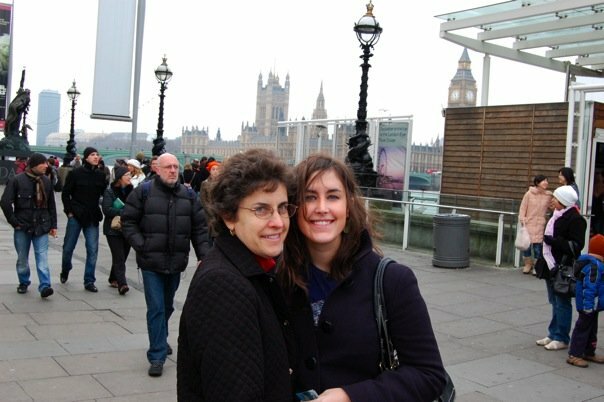 Me and my mom in London, when my family visited me there for Christmas in 2008. And yes, I made her make me mashed potatoes.